JASON Feldman was 25 when his dentist gave him painkillers for a toothache. He loved the sensation so much, he began taking them on a regular basis. When he couldn't get his prescription anymore, he began sourcing the pills from the streets, and after that became too hard, he gave in and started sniffing heroin. 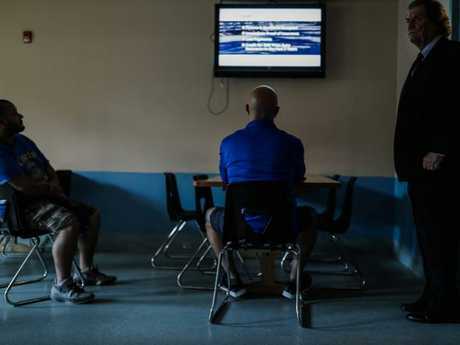 "They prescribed me Vicodins, and then I wound up liking them and yeah, it just started from there," he tells news.com.au when we meet at Camelo, a residential treatment centre on New York's Staten Island. "It was easy back then to get pills. Any doctor would prescribe them. You start off from a little Vicodin to a Percocet, next thing you know, you're taking OxyContins, oxys, and then you're doing dope." Jason, 39, has been using heroin for the past three years. 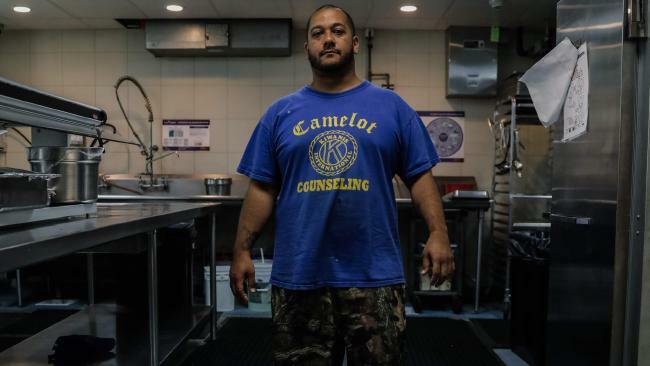 The restaurant worker is now sharing a no-frills room in the imposing, 45-bed house, spending his days in therapy, helping in the kitchen and playing pool. 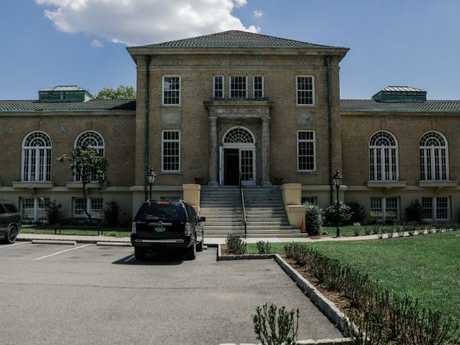 The facility is run on strict, military-style rules, but it's no prison. Jason chose to come to the centre, "because I know the next step is going to be injecting". His story is reflected across a generation in the United States, which is in the grip of one of the worst drug epidemics in its history. The monumental opioid crisis sweeping America is viewed by health authorities, police and the Trump administration as the biggest public health emergency facing the nation. The fallout has never been more visible, with singer Demi Lovato recently overdosing on opioids and Hawaiian surf champion Andy Irons' OxyContin addiction laid bare in a documentary. The epidemic can be traced back to the early 1990s, when the medical industry began placing greater emphasis on treating pain. It led to widespread, and disastrous, overprescribing of painkillers, fuelled by pharmaceutical companies, with OxyContin promoted as virtually non-addictive. 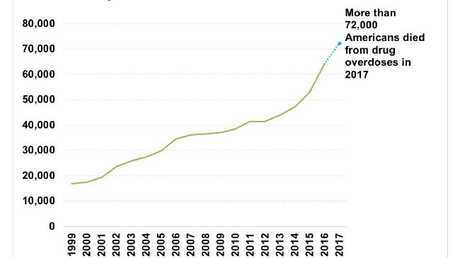 Realising the mistake, the government began pushing doctors to use other methods of pain relief, and opioid prescriptions are now at a 10-year low in the US. But the damage was done. With their source of pills cut off, a generation of American addicts turned to cheap and readily available heroin. OxyContin now costs around $100 for an 80mg pill, while heroin can be as cheap as $15 for a 50mg (0.05g) bag. "At my worst, I was shooting a brick a day (2.5 grams, or five "bundles" of ten bags each), so it would be from the morning to the night," says Danny Cusick, a former sniper and Camelot resident of less than a month. "I would go into detox just to bring my tolerance down. It was getting too high, I couldn't afford it." Danny began using after joining the US army at 18 years old, when he was serving with special operations in Iraq, guarding fields of poppies, a natural source of opiates. 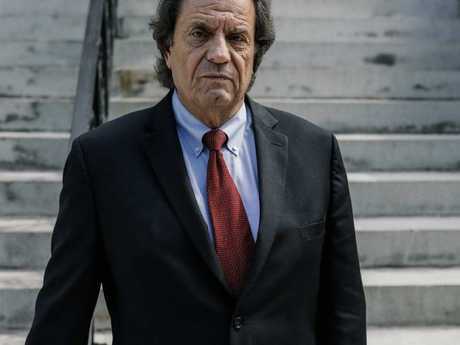 The former sniper believes as many as 60 or 70 per cent of the soldiers he knew were taking it. "I did a year there and picked up this horrible habit and became an addict," the burly 35-year-old tells news.com.au. When he returned to the US, he found the quality so much lower that he immediately signed up for another tour, just to get his fix. "I actually volunteered to go back because the quality was so good," he says. "I did another year in Afghanistan." 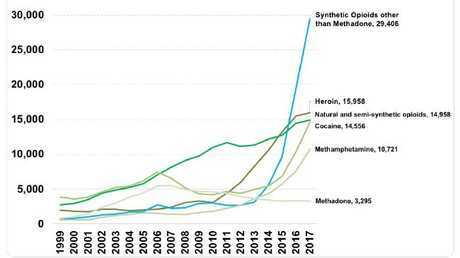 As in Australia, heroin in the US is now often mixed with fentanyl - a cheap and highly dangerous synthetic opioid imported from China. It has sent the number of deaths skyrocketing. More than 72,000 Americans died from overdoses in 2017, up from 20,000 in 2001, according to the Centers for Disease Control and Prevention. The number of deaths related to synthetic opioids including fentanyl doubled in 2016 and is now 30,000. Overdose is the biggest killer of Americans under 50. In Australia, there were just under 2000 drug-related deaths in 2016, but experts fear the epidemic is spreading. Without Narcan (or Naloxone, which can reverse the effect of an opioid overdose), US police estimate the number of deaths could be anywhere from six to 10 times higher. Fentanyl is so potent, addicts may need two or three doses, if they can be revived at all. Danny has been "narcanned" eight times. "I've come back all eight times," he says, knocking on the wooden table. His arms covered in track marks, Danny lost his job on the Staten Island ferry two years ago and moved to a "shooting gallery" in New Jersey. "It's like an abandoned house for people to shoot heroin all day," he says. "I just didn't care, to be honest." He arrived at Camelot after a charge for armed robbery and spent a sleepless first week "pacing the halls" as he tried to kick his detox medication. "I tried methadone for 10 years. That didn't work," he says. "I was on a super-high dose. I wound up shooting, injecting methadone for a while." The use of medications to help addicts is a subject of debate. Slow-release Methadone, Buprenorphine and Suboxone act on the body's opioid receptors to reduce the effects of withdrawal. The less common Vivitrol does not have the analgesic effect but "blocks" the effects of using opioids. Like Danny, Camelot director Luke Nasta is not convinced about the use of opiate medications to help addicts recover. A former user turned pillar of the community, he questions the long-term use of "liquid handcuffs" by the medical industry. "Their whole goal is to stop the overdose deaths," he tells news.com.au. "Right? That's their whole - they don't see beyond that. Well, there is no beyond that if the person dies. "We follow a behaviour modification approach, which isn't to say that there's no room for medicine in substance abuse treatment for addiction - there is - but in collaboration with intensive counselling services. "This country is looking to the medical profession to solve the problem, when it was the unsophisticated, duped medical profession that led us here." New York's opioid crisis was once at its worst on Staten Island, but has now infected every corner of the city, and most of the country. In constrast to Camelot's iron beds and basketball court, thee carpeted waiting room at Parallax Center in Midtown looks like any GP's surgery. This outpatient clinic offers people the choice of medically assisted detox options and therapy over five months. Emma Nagle, clinical co-ordinator at Parallax, sees both Medicaid patients of a lower socio-economic status and wealthier professionals, from the age of 13 upwards. Her younger patients typically start using opioids with friends, "prescribed or some that they've found at home, mum or dad's prescriptions, that's almost always how it starts". When the supply runs low, "they'll go out and find them on their own and then that's usually very short-lived because they're difficult to get and expensive, so they'll switch over to heroin". Emma says that despite the prescription crackdown, she still sees patients who are "doctor shopping" and professionals who have "no clue", despite the existence of a database they can check. "It's scary when you see one doctor who's prescribing an opiate, a benzo (tranquilliser prescribed for anxiety such as Xanax or Valium) and a stimulant," she tells news.com.au. "Psychiatrists who haven't known that their patient's been using heroin every day for the past two years, or a doctor who's prescribing really carelessly, that's always hard. "I still see it and it's very shocking." Emma says working with outpatients gives her "more time and space" to help clients develop independence and adapt to life without drugs. Many inpatient detox programs last for just seven days or a month before "releasing them into the wild", while more successful programs track patients for a year. Parallax founder David Ockert says the clinic sees mostly men. He says women are now more likely to take benzos or antidepressants, while men suffering from anxiety or depression will turn to "another joint, another drink, another line." Carrie Kappel, from Minnesota, was 34 when she starting taking pills from previous surgery that she found in her medicine cabinet. After around a year of increasing dependence, she got clean, before relapsing a few years later. 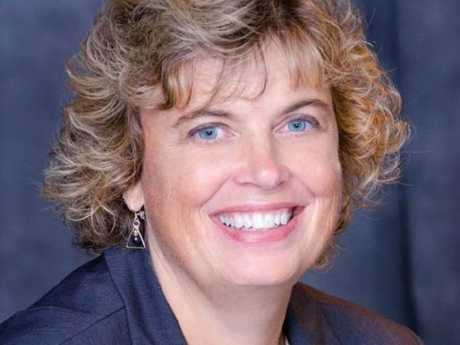 A registered nurse, she began stealing assorted opioids left over at the hospital. "In the beginning, it was more chasing that high, but as it proceeded, it was just about feeling normal," she tells news.com.au. "My brain began to tell me I needed drugs like I needed air … I ended up doing things in my addiction that I never intended to do. "It was a huge boundary and morally wrong, but I would tell myself, 'nobody's going to miss it, nobody's getting hurt.'" If she couldn't access drugs, she would go through withdrawal. "Take your worst flu symptoms and multiply them by ten," she says. "You're hot and cold, you have sweats, malaise, you may have stomach upsets, diarrhoea and more." In the end, "dopesick" addicts find it almost impossible to think about anything but the need to feel better again. Carrie was eventually fired and went into rehab at the Hazelden Betty Ford clinic in 2009. After recovering and getting help for underlying depression, she retrained and now works at the clinic that helped her as a drug and alcohol counsellor. "Being that close to my drug of choice was probably not helping," she says. Nurse Carrie Kappel began stealing opioids from the hospital where she worked to feed her addiction. Carrie believes in "attacking the stigma of addiction", because even "someone who's done something against their own morals and boundaries can recover." Barry Salop, from Philadelphia, also went from addict to counsellor and tries to pass on "a message of hope." His parents were addicts, and he began using cocaine at 11 and dabbling in other drugs. By 32, he could was snorting oxys and heroin washed down with vodka to get through the day. "I needed it just for tying my shoelaces, opening mail. I never had a coping mechanism," he tells news.com.au. He entered a vicious cycle of "terrorising" his family with violent rages he refers to as "brown-outs", because he remembers every excruciating detail. Barry tried repeatedly to detox alone, but like many addicts, he failed. Withdrawal was "absolute hell", as he suffered from the shakes, cold sweats and such discomfort he couldn't sit still. "I would take five or six showers a night just for 15 minutes' sleep." 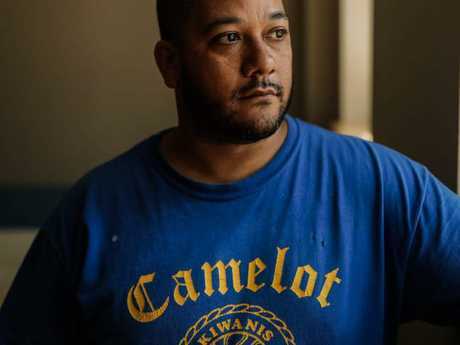 Bankrupt, jobless and growing marijuana with a baby in the house, he says the wake-up call came with a loud knock on his door - a police drug raid. He spent five months at Caron Treatment Centers in Pennsylvania and went through a "vicious" detox, before finding a "spiritual" but non-religious equilibrium during a year at a retreat in Minnesota. "I started to live for the first time," says the 52-year-old. Chuck Wexler, executive director of the Police Executive Research Forum, says officers are approaching this crisis in a new way. "Many departments are now equipping their officers with Naloxone (Narcan) and recognising that someone suffering from the results of opioid overdose needs help immediately," he tells news.com.au. "That's a different role for the police - police have gone from arresting drug users to getting them into treatment and that's a sea change from where the police were 20 years ago. "There isn't a domestic issue that is more significant to our health and safety than the opioids issue. It is by far, I think, the number one domestic issue when it comes to health and safety of Americans. Videos of parents overdosing around their children or comatose users sprawled on the streets of America are now a common sight on social media. Comedian John Oliver has tackled the crisis and pharmaceutical firms are facing lawsuits, with Donald Trump yesterday urging Attorney-General Jeff Sessions to hold them to account. Chuck calls this a "different kind of epidemic" to previous ones with cocaine and crack in the 80s and 90s. There is less associated violent crime - but there are far more overdoses. "They're overdosing as opposed to being shot, which is what happened in the crack period where you had robberies and homicides and so forth as a result of drug dealers fighting over turf," he says. "People are obtaining opioids, they're getting cheap heroin that is high purity, low cost, so it doesn't seem to generate the same kind of competition. "We had overdoses but not to the extent we have here now. I think the involvement of fentanyl has really been a game changer. That chemical has enabled drug dealers to buy at a relatively low cost and mix it with heroin and that's why people are dying. "In some epidemics, you kind of see the light at the end of the tunnel. We haven't seen that." 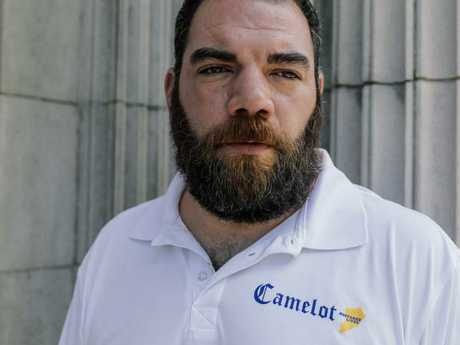 While many addicts have suffered trauma, mental health issues or a family history of substance abuse, Camelot boss Luke Nasta came from a stable home with a war veteran father and housewife mother. "As far as a 'good excuse' for why I became a heroin addict - I don't have one," he says. The 69-year-old began smoking cigarettes at 13 and was using heroin by 18, before being arrested for dealing. "We were a 'get high' culture. We inhaled cleaning fluid, glue; we took every type of pill - barbiturates, sleeping pills, tranquillisers, cough medicine with codeine; we smoked whatever … then heroin was readily available and so it was just something else to try. We did hallucinogens, of course, we smoked pot." Several of his friends died during the AIDS crisis after sharing needles, and Luke poured his grief into his work in the addiction field, trying to change how America approaches the crisis. "The research says that right after treatment, first of all, you talk to a patient and say, 'do you have a craving?'" he says. "The last time I used heroin was 1974, do I have a craving? Yeah. I don't think about it, but it's there with me forever. "My life is filled now, I'm not some inadequate, out of place ... I'm substantial in the world, I've got children, kind of successful I guess. "So that fills you, you don't need to have the drug in you, but it's still there." Recently, he was given painkillers for his kidney stones. "I needed those painkillers, but there was also that familiar feeling, that familiar sensation that I had to be vigilant in not pursuing," he says. "And this is 40-something years later, with family, in a community where I was a threat to public safety and now everyone calls me, from the highest level to government on Staten Island, federal government. "That should be good enough, right? But that monster is still there, he's still hiding back there." He warns the world should "beware the pharmaceutical industry" as the opioid crisis begins to hit other countries hard. "They're coming. They're already there, and they're coming, because the market's tightening up here and they don't want to lose money," he says. "They'll go to fertile ground to sell their wares, and it's opiates, which are more powerful than all of our free wills."